Published 10 times a year, Asian Poultry Magazine offers timely updates and market intelligence on the robust poultry industry in Asia. Click here to subscribe. Published six time a year, Asian Pork Magazine offers readers’ valuable insight into the fast modernising pig industry in Asia. Click here to subscribe. Asian Feed Magazine is produced six times a year and represents an important avenue of information as feed forms the basis of sound animal production. Click here to subscribe. Asian Meat Magazine is published once every two months and covers the growing trend in animal protein consumption in Asia. Click here to subscribe. ‘Antibiotic use and control – Current trends and the future’, is the theme for Asian Agribiz’s Poultry Health Conference 2019. The two day conference featuring 15 speakers, 16 presentation and eight discussion will highlight the challenge of antibiotic resistance and provide poultry industry professionals in Asia with in depth technical information on why antibiotic use is being challenged. The conference will be held in Bangkok, Thailand on 7-8 May 2019 at the Hilton Sukhumvit Bangkok. Based on import risk analysis (IRA), a reviewing team from Timor Leste has declared that Japfa Comfeed Indonesia meets all requirements for export of poultry and livestock products to Timor Leste. An industry report predicts the Indian cold chain market to grow at a CAGR of 14.8% during 2019-2024. A&W restaurants will introduce more affordable set meals priced at USD 2.5 as opposed to the current USD 3.6 in May. A sheep & goat training center in Jogjakarta was recently inaugurated by an official of Indonesia’s Ministry of Agriculture. Each year, the Asian Agribiz Pig Feed Quality Conference presents a comprehensive and topical program focused on the issues facing the Asian pig industry. This year’s conference in Bangkok is no different as participants will learn from 18 presentations from 15 local and international speakers. They can have meaningful exchanges with the speakers not only during the conference and panel discussions but also during the ‘meet the speaker’ gathering at the end of day one. Registration to the conference closes on April 19. NEW LOCATION: The 2019 Pig Feed Quality Conference will be held in Bangkok on 24-25 April instead of Ho Chi Minh City. NEW DATES. 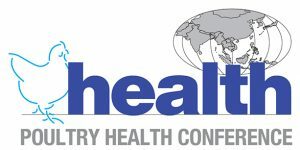 The 2019 Poultry Health Conference will now be held in Bangkok on 7-8 May 2019 following the proclamation of a Thai public holiday on 6 May to mark the coronation of HM King Maha Vajiralongkorn. The 2019 Broiler Feed Quality Conferences will be held in Bangkok on 21-22 August and in Jakarta 26-27 August. The 2019 Broiler Breeder Masterclasses will be held in Bangkok on 23 August. The 2019 Dairy Feed Quality Conference will be held in Bangkok on 16-17 September. The 2019 Layer Feed Quality Conferences will be held in Jakarta on 14-15 October and in Kuala Lumpur on 17-18 October. The 2019 Animal Protein Asia will be held in Bangkok on 4-5 November. The 2019 Duck Quality Conference will be held in Bangkok on 7-8 November. 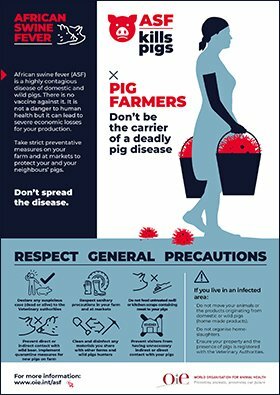 The Asian Pig Health Conference will be held in May 2020. The Broiler Feed Masterclasses is likely to next be held in Q2 2020.